Malters Advantage – You control the weather, you control you malt. You control the weather, you control you malt. Custom designed, fully integrated systems control your production from bin to bag for consistent, high-quality malt every single time. We custom design your malting operation to fit your space and exceed your goals. We cover every base so you can focus on malting. Yes, it's complicated, that's where we shine. Each system is designed and fabricated by our team for turnkey operation so you can start malting as soon as possible. We'll make sure it's done right. All Malters Advantage systems are modular so they expand seamlessly with your business and success. No need to redesign, just add more. Kinda like Legos for grain. The Malters Advantage Variable Steep system combines the proven steeping performance of a standard conical steep. This integrates seamlessly into the germination and kilning to protect your grain, setting the stage for complete control of the process. Our patent pending design for the Modular Malting combination Germination and Kiln system eliminates weather variations. This yields malt that is consistent from batch to batch attaining new levels of craft malting. For every size and scale, Malters Advantage systems are designed around your unique requirements and business goals, integrating every element from water supply to air movement to storage and packaging. Our Modular Malt systems eliminate the complexities of malting so you can focus on what you love, perfecting the craft. Your malt will consistently meet your customers’ most demanding craft brewing and distilling needs batch after batch. Our smaller Econo-Malter systems are based on the same modular design concept as the big guys, only smaller, and is ready to expand as your business grows. With our variable steep tanks and self-contained germination & kiln systems, you control the weather so that your malt is consistent from bin to bag every time. Each Malters Advantage malting installation is ready to expand when you are; our experts help you plan from the start so you never need to re-engineer your site. The best way to handle malt is not to handle it at all.  Malters Advantage integrated systems mean you never have to shovel wet malt again. Thorough monitoring and self contained malt transport reduce the effects of temperature and weather and dramatically increase consistency. Batch after batch steep, germinate, and kiln to meet your customers' needs according to your recipes. Reduce your workload, increase your quality, and leave the headache of shoveling malt in the past. We stand by our designs, our processes, and our components—we’re not done until you’re satisfied. Your malt production will become more consistent than ever before, elevating the quality of malt you produce and the quality of beer and spirits made with your malt. We help you to “control the weather” with tools to meticulously monitor and controll the malt process, from bin to bag. We remove the guesswork from building or expanding your malting operation with completely engineered Modular systems and solutions for every step of the process. Wayne and his team's singular focus is to help maltsters build businesses and systems that consistently produce the world's best malts to supply the world's best craft brewers and distillers. It all starts with your malt, from bin to bag, we help you fine tune your operation and build a malting operation that creates consistent malt regardless of the weather, and is ready to grow seamlessly when you are.